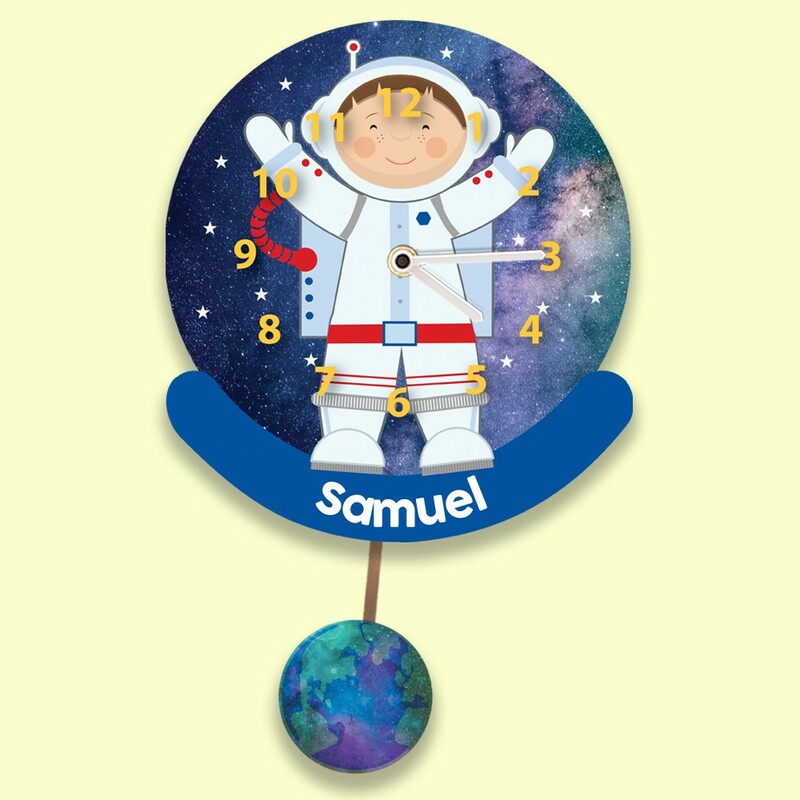 Our astronaut wall clock is truly out of this world! 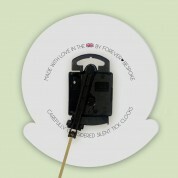 It comes with a silent tick mechanism, a novelty swinging pendulum and even features your child's name. Learning the time has never been more fun. The little astronaut is exploring galaxies afar. Wearing a classic space suit complete with helmet and oxygen backpack, he floats through the stars. Below him the earth can be seen - it swings gently on the pendulum. Your child's name is included in a blue banner below. There is even space for two first names, if your children share a room. It is designed and made in the UK and features a quality German Quartz movement which compliments the quality of the British design and manufacture. Any little boy will love to have such a unique clock in their bedroom or nursery. We think it would suit any occasion, especially a birthday or religious event. Other designs are available.